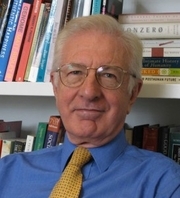 Richard Layard, Baron Layard FBA (born 15 March 1934) is a British labour economist, currently working as programme director of the Centre for Economic Performance at the London School of Economics. He was one of the first economists to work on happiness, with one theme being the importance of non-income variables on aggregate happiness, including mental health. Richard Layard is currently considered a "single author." If one or more works are by a distinct, homonymous authors, go ahead and split the author. Richard Layard is composed of 4 names. You can examine and separate out names.